India — the world’s diabetes capital — has to combat what health experts call a new and worrying trend: that poorer sections of people are increasingly falling prey to the debilitating disease. A study released \ said people belonging to lower socio-economic groups living in urban regions of the country’s more developed states were more prone to diabetes than those in the states who were socially and economically better off. Published in the Lancet Diabetes and Endocrinology journal, it said the findings were a matter of concern for India, where most people pay the cost of treatment out of their own pockets. The study, funded by the Indian Council of Medical Research and the Department of Health Research in the Ministry of Health, covered 57,000 people across 15 states and Union Territories. 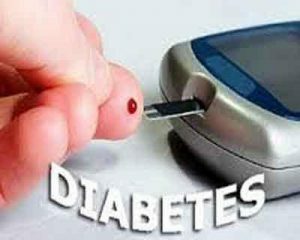 The mean prevalence of diabetes across all 15 states and UTs was 7.3 per cent, with the rates varying from 4.3 per cent in Bihar to 13.6 per cent in Chandigarh. In the urban areas of seven states, most of which rank among the more economically advanced regions, it was found to be higher among people from low socio-economic groups than those from higher socio-economic groups, the report highlighted. For example, in Chandigarh’s urban areas, the rate of diabetes was 26.9 per cent among people from low socio- economic groups, considerably higher than the 12.9 per cent among people from high socio-economic backgrounds. The body weight, height, waist circumference and blood pressure of each person was measured and glucose tolerance tests were performed to diagnose diabetes and pre-diabetes for the study. Addressing the increasing prevalence of diabetes in India will require solutions at many levels, including increased awareness of the disease and its complications throughout the country and especially in rural areas – as well as the establishment of cost-effective prevention programmes, said Dr Vijay Viswanathan of M V Hospital for Diabetes, Chennai. This is an important study conducted by Dr V Mohan and teams. It throws light on the future expectations of India which is already the Diabetes Capital of the world. Kudos to the Research Teams which went round to different regions with enthusiasm and vigour.